Hanoi (VNA) – A Vietnamese traditional cultural festival opened on April 5 with a unique performance of different art forms at the Thang Long Imperial Citadel relic site in Hanoi. 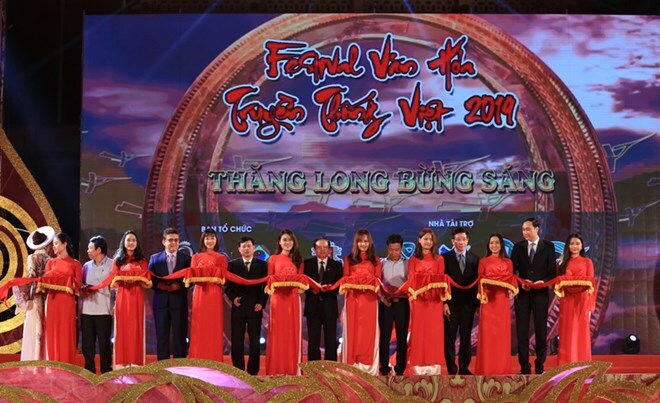 The festival is being organised by the Vietnamese Cultural Heritage Preservation and Development Club in coordination with the Queen Group, with the aim of introducing cultural practices to foreign visitors and honouring traditional values. The five-day festival will reproduce cultural values and folk performing arts representing the northern, central and southern regions. Seminar and workshops on cultural practices such as Mother Goddess worship and religion will take place with the participation of many experts. Furthermore, the event will include 300 booths showcasing culinary delicacies, agricultural products and handicrafts by enterprises nationwide. It is expected that the festival will attract between 80,000 - 100,000 foreign and domestic visitors.